Recent Corruption Crackdown in Ethiopia: What Can We Learn From It? A new era of democracy and optimism has emerged since the current Ethiopian Prime Minister, Dr. Abiy Ahmed, assumed power in April last year. The months following his appointment saw widespread reform packages on all major areas of governance including revising draconian legislation such as civil society and media proclamations. The new government pledged to make a genuine effort to strengthen democratic institutions and reform the justice sector to make it more effective and independent. The prime minister reshuffled his cabinet and sacked officials believed to be corrupt. He also made an impressive move for gender parity, appointing 50 per cent female ministers for the first time in the history of the country. None of these created as much euphoria among the public than the corruption crackdown on the top leadership of Metals and Engineering Corporation (MetEC), an industrial conglomerate run by former defence force military generals. In November 2018, the country’s Attorney General (AG), Berhanu Tsegaye, appeared before a crowd of local journalists to announce the preliminary results of 5 months investigation into a corruption scandal that he referred to as a “systemic corruption activity involving the top leadership of MetEC”. According to Tsegaye, MetEC heads were suspected of embezzling large sums of public money to benefit their families. 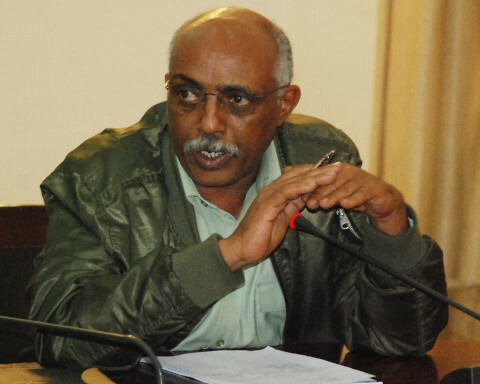 High profile corruption crackdowns are not new in post-EPRDF Ethiopia. Since the mid-1990s the government has charged and convicted some of its higher officials on corruption charges. In July 2017, for example, the Federal Police started arresting government officials, businessmen and brokers in association with the loss of ETB 4 billion (€156 million) predominantly in connection with government procurement irregularities. Altogether 45 suspects were arrested, 35 of whom are government officials. The arrests were made at five institutions: 1) Ethiopian Sugar Corporation (a state-owned enterprise); 2) Ethiopian Roads Authority; 3) Addis Ababa Roads Authority; 4) Addis Ababa Housing Development Project Office; and, 5) the Ministry of Finance and Economic Cooperation. Before that, at the beginning of May 2013, the Federal Ethics and Anti-Corruption Commission (FEACC) rounded up senior government officials and civil servants from the national revenue authority as well as private business people, into police custody. Most were charged with grand corruption of varying categories. There are a number of other high profile corruption cases including the 2008 investigation and prosecution of executives of the Ethiopian Telecommunications Corporation (ETC) for corruption involving the tendering process for the provision of a mobile telephone network. However, the conviction of these few individuals has never helped the practice of corruption to fade away and deter other individuals from repeating it on a larger scale. MetEC, which forms a part of the defence industry complex, was established with ETB 10 billion (€310 million) capital in 2010 by combining nine businesses previously owned by the ministry of defence, including Dejen Aviation Industry and Gafat Armament Industry. Six other industries, including plastic, tractor and vehicle spare-parts manufacturers, were also transferred to MetEC from the state privatisation programme. By forming this state-owned industrial complex and harbouring it under the military leadership, the government has intended to create local engineering capacity shaped by hard-working discipline to be emulated from the defence forces, and as a result to lay the foundation for the anticipated structural economic reform towards industrialisation. Soon after its establishment, MetEC became involved in mega infrastructure projects across the country. They were awarded the hydroelectric segment of the Grand Ethiopian Renaissance Dam (GERD), which the country is building on the Blue Nile River, and have been contracted to build ten huge sugar factories with a planned capacity of producing 12 million tons of sugar each per annum. A large soil fertiliser factory was also awarded to MetEC. Apart from this, the company has expanded its interests to almost all industries, from manufacturing transformers, turbines and other equipment, to assembling heavy-duty trucks and automobiles. MetEC is also the sole entity manufacturing arms and ammunition, which they supply to the country’s defence forces as well as to neighbouring countries. Nonetheless, MetEC couldn’t live up to its contractual obligations. 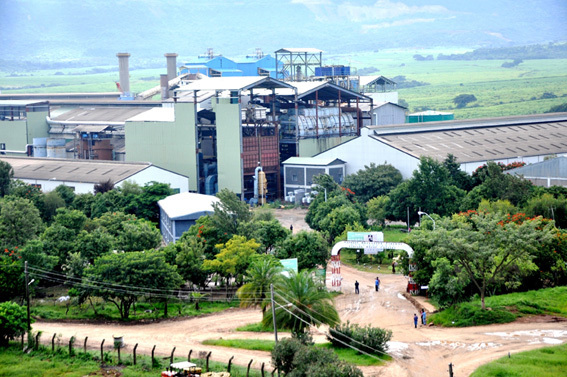 None of the sugar factories nor the fertiliser project has been completed thus far. However, MetEC was paid more than 90 per cent to some of the sugar projects. In addition, it took ETB 11 billion (€340 million) which was the total cost of the fertiliser project. MetEC only managed to complete 40 per cent of the fertiliser project, which according to the contractual agreement should be completed some four years ago, resulting in a 100 per cent escalation on the total amount needed to complete the fertiliser project. Regarding the electromechanical contract it took at GERD, considered as a flagship project of the state, MetEC has already collected 65 per cent of the total ETB 25 billion (€776 million) contractual amount, but it has done no more than 25 per cent of the work. Through the automotive industry, it has managed to assemble and manufacture dozen thousands of contraction and agricultural machinery including heavy-duty truck without proper assessment of the market need, consequently resulting in waste as the machinery has been gathering dust in warehouses. MetEC was also accused of delaying and mismanaging the construction of the massive GERD. The company has no mandate to provide any transport services but it bought two out-of-service ships from the state-owned Shipping & Logistics Services Enterprise at a cost of €2,9 million, the AG said. The ships were reportedly used in illegal arms trading and used to transport other contraband materials between Iran and Somalia. Furthermore, the corporation acquired five aeroplanes at a cost of ETB 25 million (€776,000) that was declared not to be airworthy by the Ethiopian Civil Aviation Authority. However, the aircrafts were used for private purposes by former MetEC officials. In another case, it is alleged that MetEC carried out local procurements worth ETB 205 billion (€6,3 billion) without a bidding process. It also paid multiple times for a single procurement. It was allegedly engaged in repeated procurements from single suppliers without competitive bidding, which is against the law. According to the investigating police, MetEC also awarded the Tana Beles I Sugar factory project to a Chinese firm for close to €50 million. The company abandoned the project after completing 55 per cent of the work after already receiving full payment. Besides wasting the scarce financial resource obtained from a foreign loan, it led the government to enter a contract worth €5,6 million with another company in an effort to finalise the project. Following MetEC’s failure, the mega projects were not according to plan. Ethiopia was expected to start exporting sugar in 2014, but even up until 2017 the country was importing sugar. Similarly, the other mega projects (GERD and the fertiliser factories) have not been completed. The country has lost billions that were expected to be earned from exports. “The investigation revealed that between 2012 and 2018 MetEC made international procurements to purchase goods worth ETB 37 billion (around €1,1 billion). These were purchased without following proper bidding processes. Extremely inflated prices, up to 400 fold of the actual prices of the goods, were paid and the relatives of MetEC officials and those within their networks appeared as the bigger players,” Berhanu told journalists during a press conference in November last year. Days after announcing these series of corruption activities and mismanagements, the government made a number of high profile arrests, including 23 senior MetEC officials. According to Attorney General Berhanu Tsegaye, Major General Kinfe Dagnew was caught while attempting to escape to Sudan. The pre-trial hearing is currently before the 10th criminal bench of the federal high court. The extent and the seriousness of the investigations on MetEC took many by surprise since the efficiency and effectiveness of the fight against corruption in the country has always been a case in question. Time will tell if the latest rounds of investigations on grand corruption are going to prove to be pivotal in this regard. However, on the one hand, it is not rare to see Ethiopia seasonally responding to grand corruption cases over the past 27 years under the current ruling party. Moreover, the Auditor General’s annual reports often expose massive financial mismanagements and inadequate performances at federal and state level. As a result, it was previously known to have received advance payments for seriously delayed schemes, such as the Yayu fertiliser project and the €206 million Kuraz 1 sugar factory in South Omo. Kuraz was incorrectly assembled and may be too costly to fix. Similarly, different reports indicated that there is widespread corruption within the defence and security establishments. Massive corruption and mismanagement of funds are reported to have taken place in the MetEC. For instance, according to the 2015 Transparency International report, Africa Government Defence Anti-corruption Index, MetEC’s financial and budgetary links with the military are [not] clear, and there is no evidence that annual reports have ever been made available to the public. It is also reported that the energy sector, in particular, the various mega hydropower projects are affected by corruption. The country is making a massive investment in the hydropower sector. The GERD on its own is estimated to cost about €4,3 billion. If the reform programme addresses these kinds of structural problems, many citizens hope that coupled with the democratic opening and public participation, and the new administration’s commitment to fighting corruption, the crackdown would succeed as a foundation for the new chapter. On the contrary, while recognising the positive aspects of Abiy’s rule, others criticise it for being selective and inconsistent. Some argue that the corruption crackdown is not free from double standards, as many officials with at least indirect culpability seem to be immune from prosecution. Getachew Reda said in an interview that the ruling EPRDF had agreed to ensure that the process would be non-discriminatory, and stressed the culpability of others, including the former Prime Minister as MetEC was accountable to his office. As a result, they argue that these kinds of unprincipled measures could push the country into conflict. In this regard, the tension is already growing between Abiy’s administration and the Tigray Regional State led by the Tigrayan People’s Liberation Front (TPLF). TPLF leadership suggested that the major crackdown against officials suspected of corruption and rights violations mainly targeted the Tigrayans. Senior TPLF officials Debretsion Gebremichael and Getachew Reda expressed their support for bringing criminals to justice but highlighted that it should not be politically motivated. Activists from Tigray shared this concern. A protest in nine major towns in Tigray was followed by a huge rally in Mekele, where tens of thousands participated in support of the regional government’s stance. Some independent commentators wrote that it is yet to be seen whether those suspected of corruption and human rights violations connected to the ODP will be investigated. The fact that Ethiopian major media outlets, including the national broadcaster, EBC, broadcasted a documentary alleging that MetEC had been involved in illegal arms smuggling, including to Somalia, not only raised ethical questions but also violated on the presumption of innocence until proven guilty principle of the constitution. It proves that its old ills are still within it. Ethiopia is cultivating tens and thousands of graduates from universities and technical colleges every year and the lack of jobs is becoming a serious concern. In fact, the unrest and instability because of the protests before Abiy assumed power was in part triggered by youth unemployment. Hence, taking strict measures to prevent and avoid similar grand corruption is not a matter of choice but a necessity. So far, large-scale corruption in Ethiopia have violated human rights, prevented sustainable development and fueled social exclusion. Corruption poses a grave danger to the peace, even worse to the very existence, of the country. The recent move by the new administration to take legal action on the leadership of MetEC has shown the government’s commitment in the fight against corruption and it seems to have garnered wide acceptance by the majority of the citizens and human rights groups.